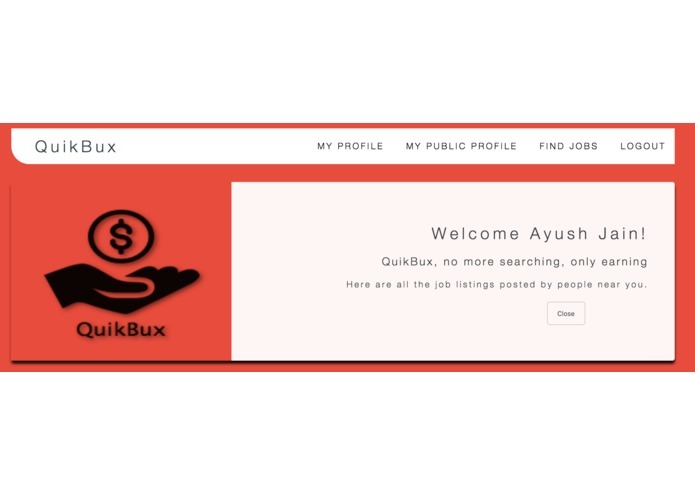 We made a simple Web and iOS app called QuikBux that allows people to hire others for small jobs to earn quick cash. Workers have an online profile that others can see and follow. 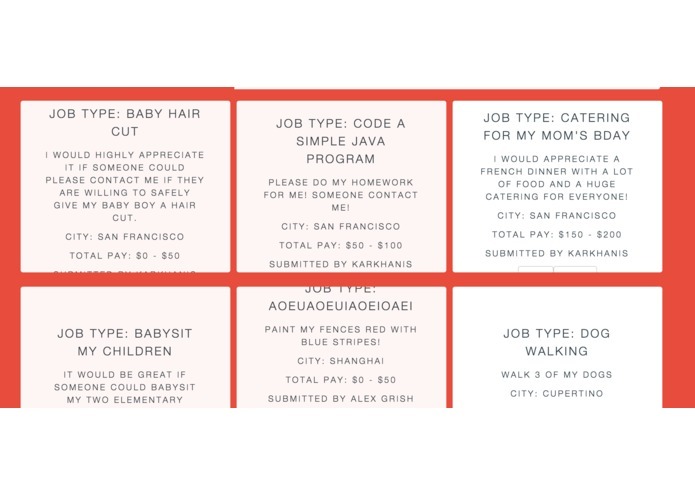 Clients can leave reviews of the workers. 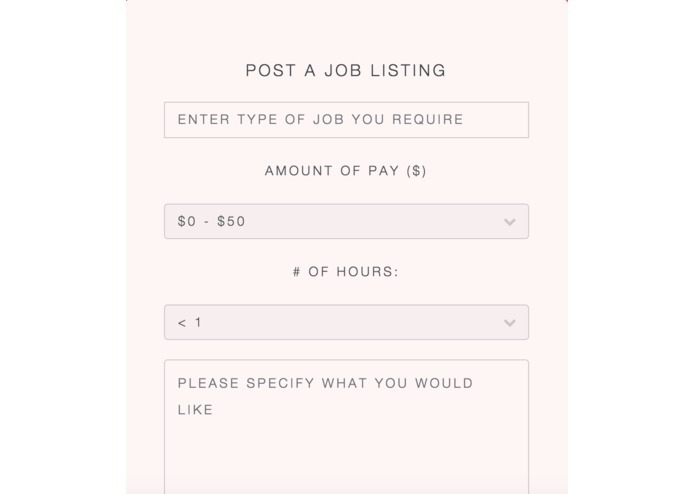 Clients can also post new jobs for workers to find and contact them. Everyone can see other's public profiles and contact them for a job. 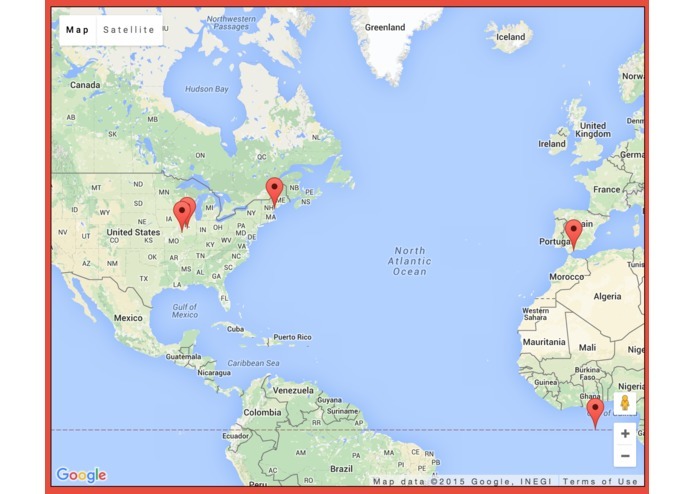 We have also included an interactive map powered by Google Maps that updates the location of all users in realtime. It is a very significant app because many people struggle to find credible people that they can trust to do their jobs. For example, it would be nice to hire movers to help move furniture out of the house. You can simply go to our app, and post a job which will then be seen by other workers that are interested in earning some money. The app was built by Ayush Jain, Kiran KV, Rishan Girish, and I during MakeHacks Fall 2015 in 24 hours. 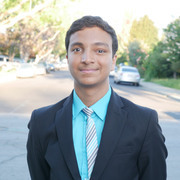 The web development was done by Ayush and I while the iOS Development was done by Kiran and Rishan. The app won first prize for the Dailymotion social media hack and 5th overall out of about 45-50 other teams. I worked on the frontend and part of the backend for the Web app. We used Firebase to add realtime updates to our app, both on web and iOS. I developed the entire backend for the iOS component of our app using Firebase, helped structure and design the mobile UI, and came up with the idea for the project. I also designed the company logo. I worked on the frontend and backend of the iOS app, and designed its UI. I worked on the entire backend of the web app using Firebase. I architected the backend for the application which was split into both the web and ios. I also worked the front end for the web app and designed the UI for the IOS app.